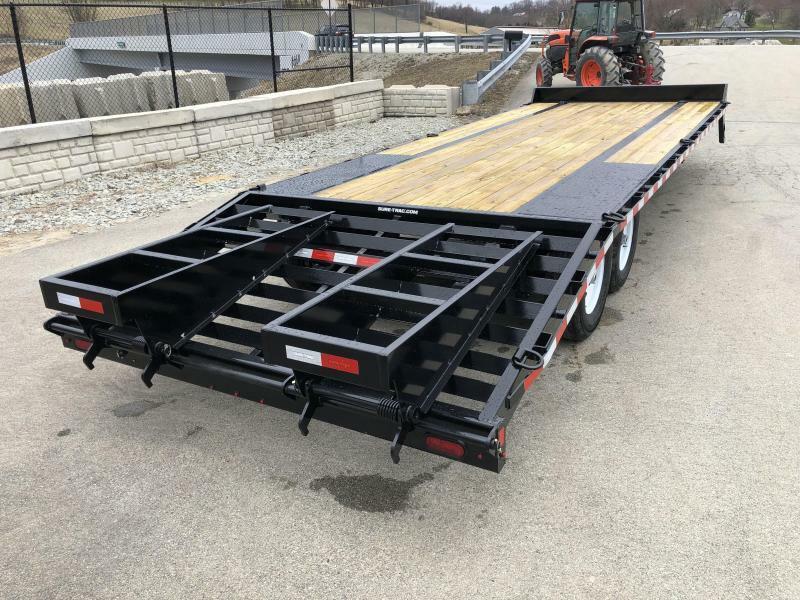 - The HD Low profile beavertail deckover trailer is the most common model deckover we sell, and is ideal for moving most any piece of equipment that needs transported. 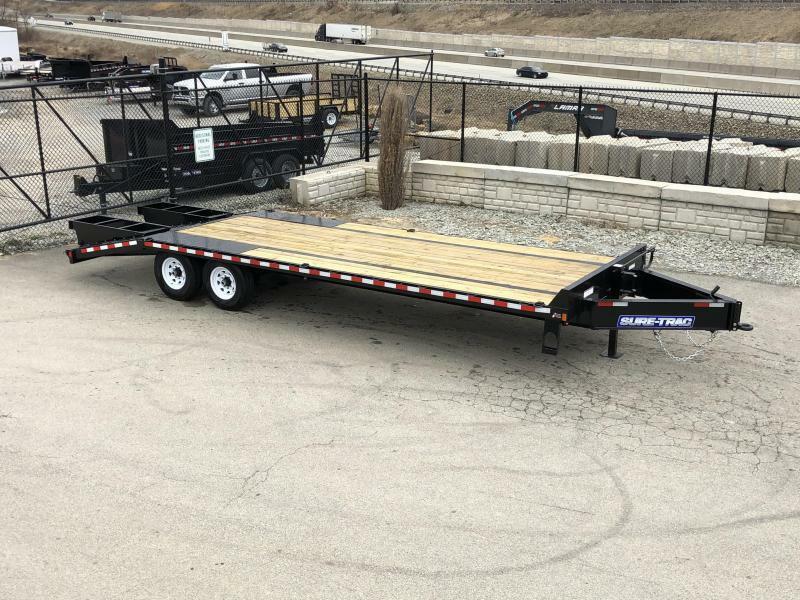 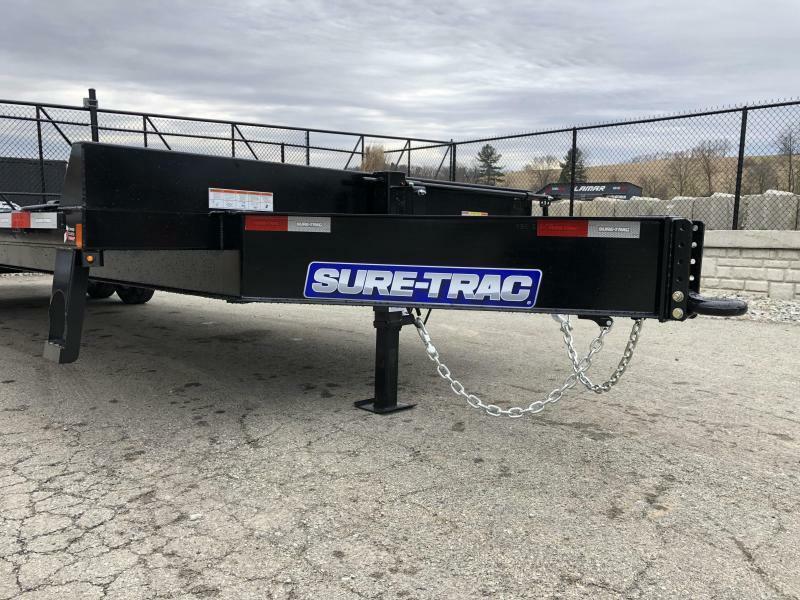 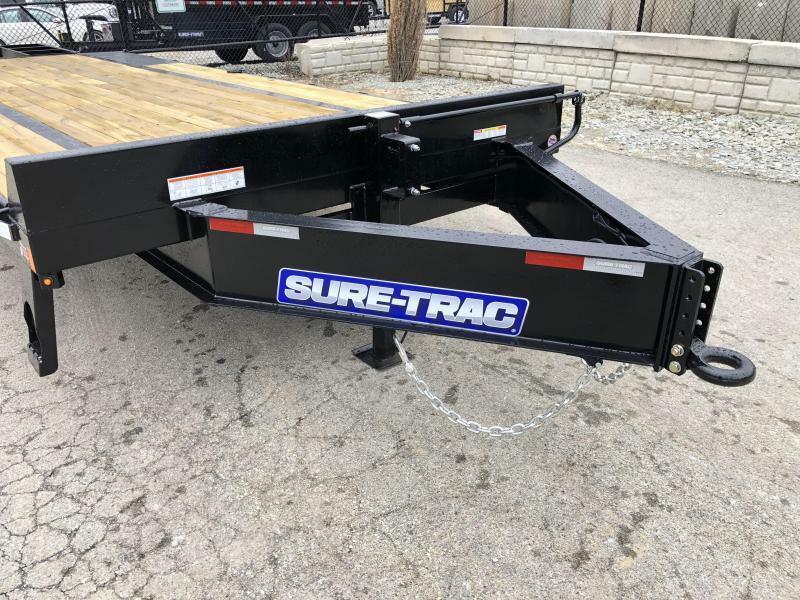 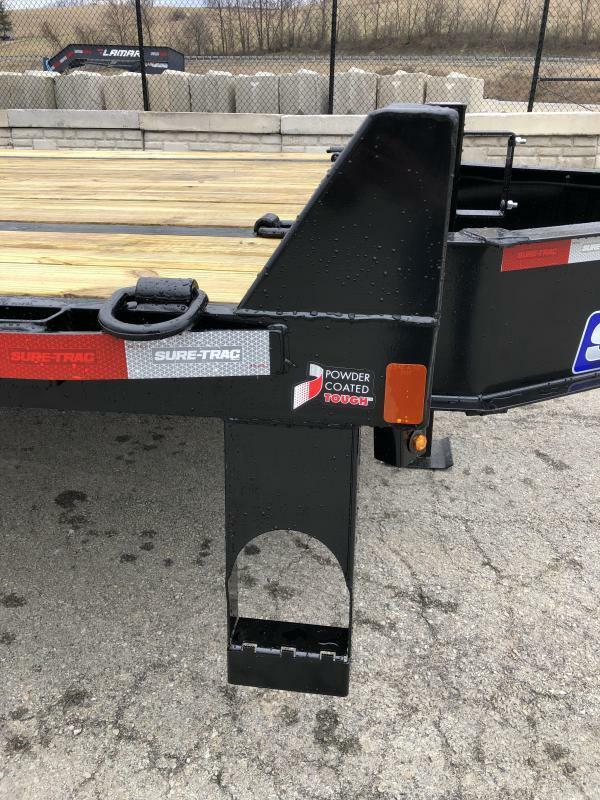 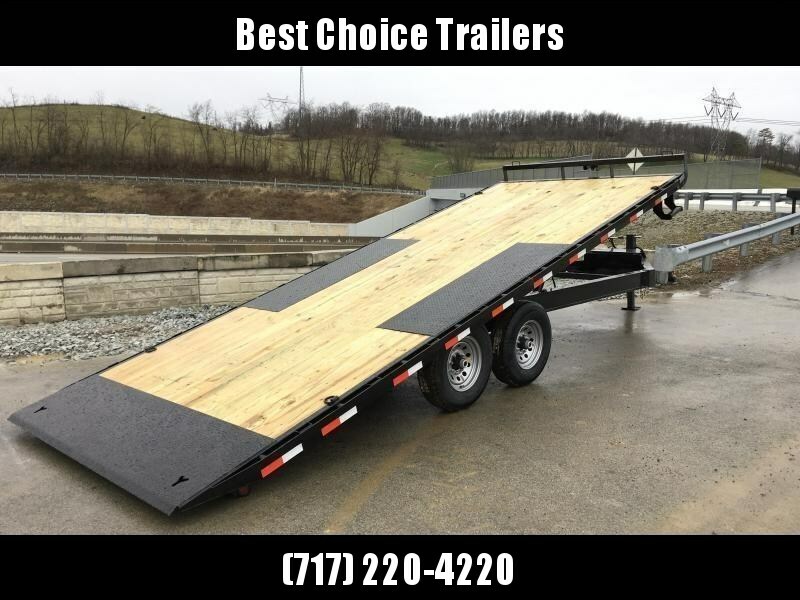 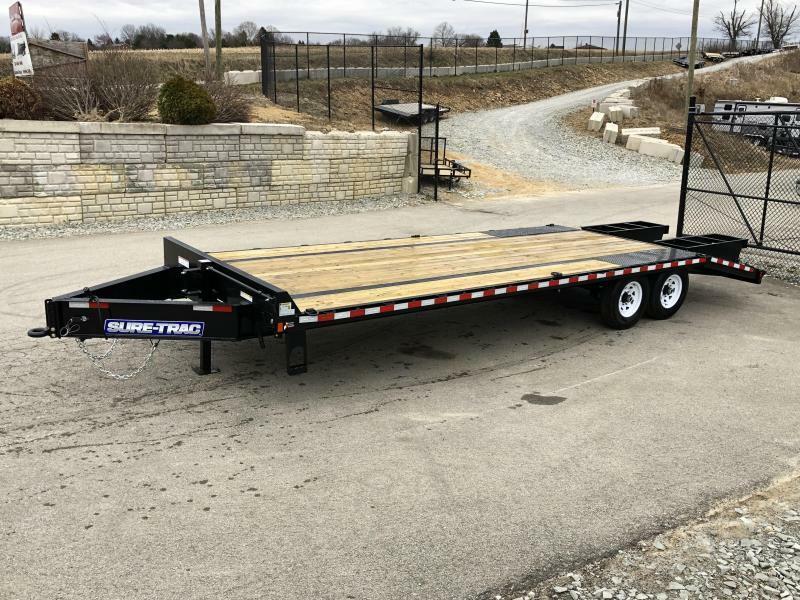 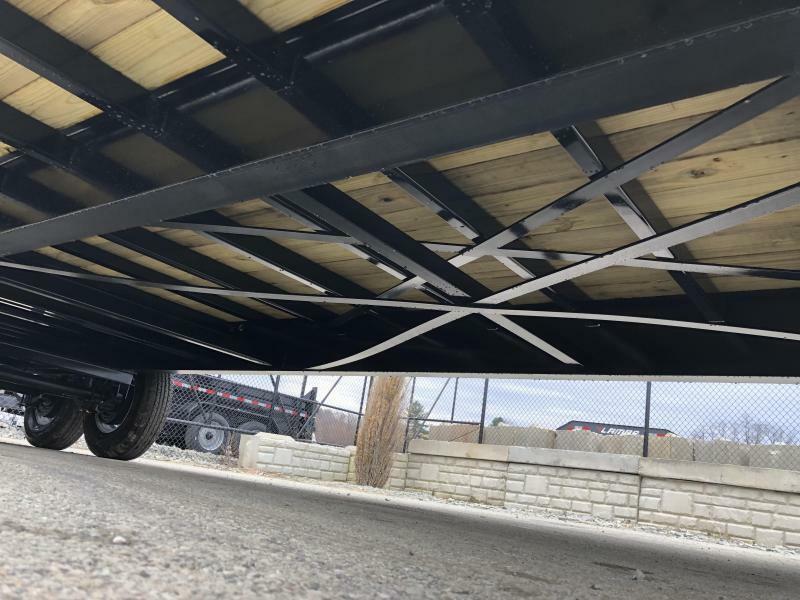 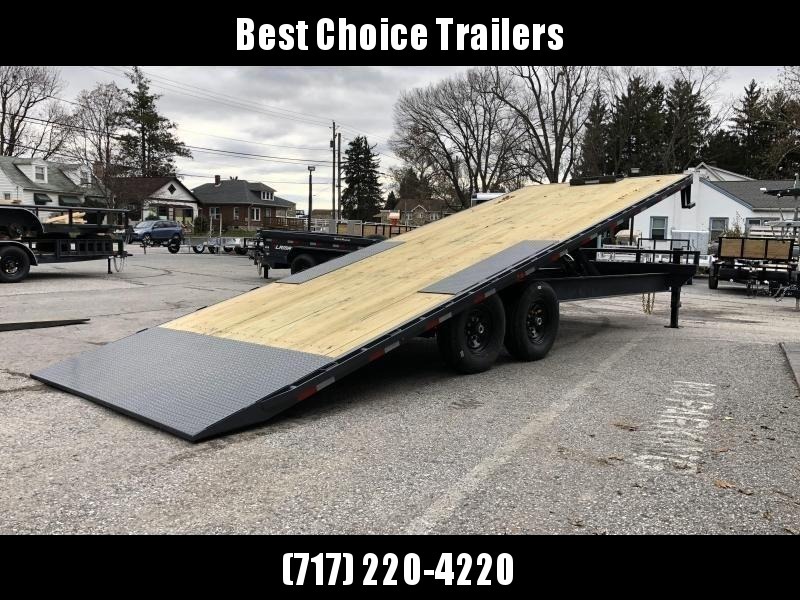 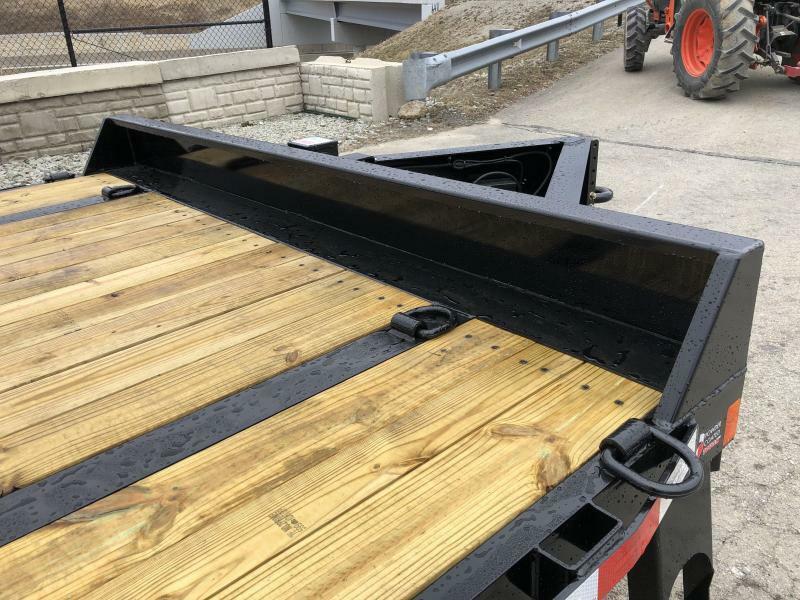 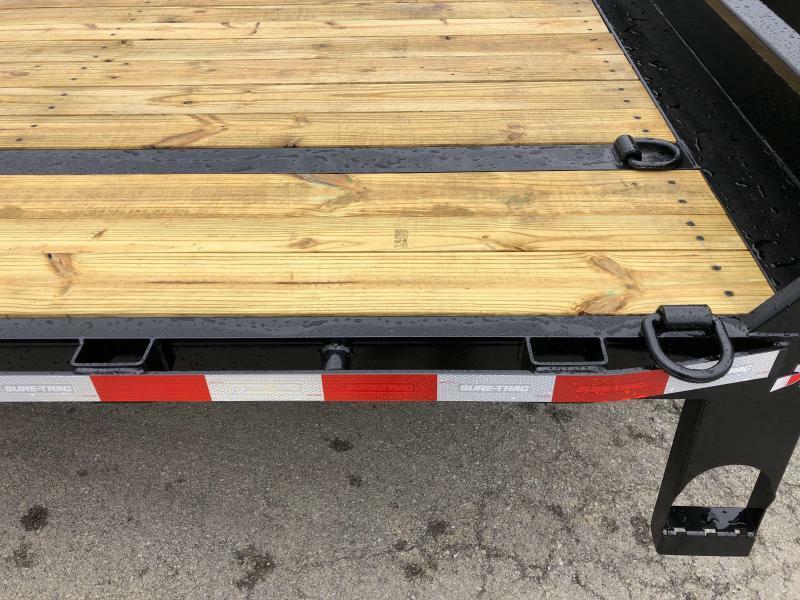 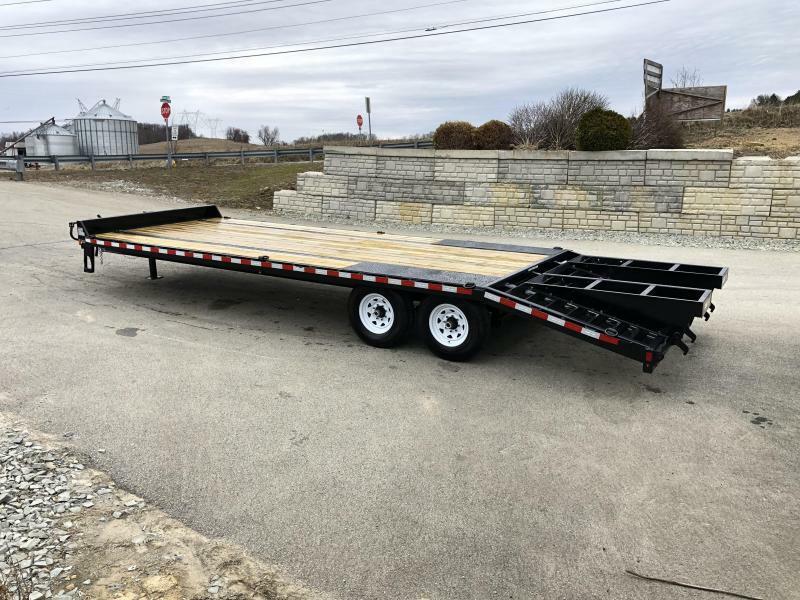 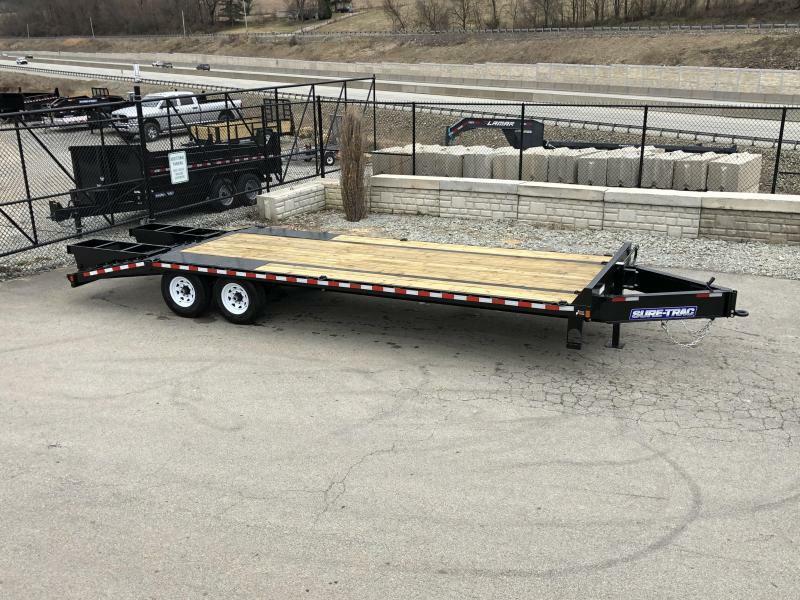 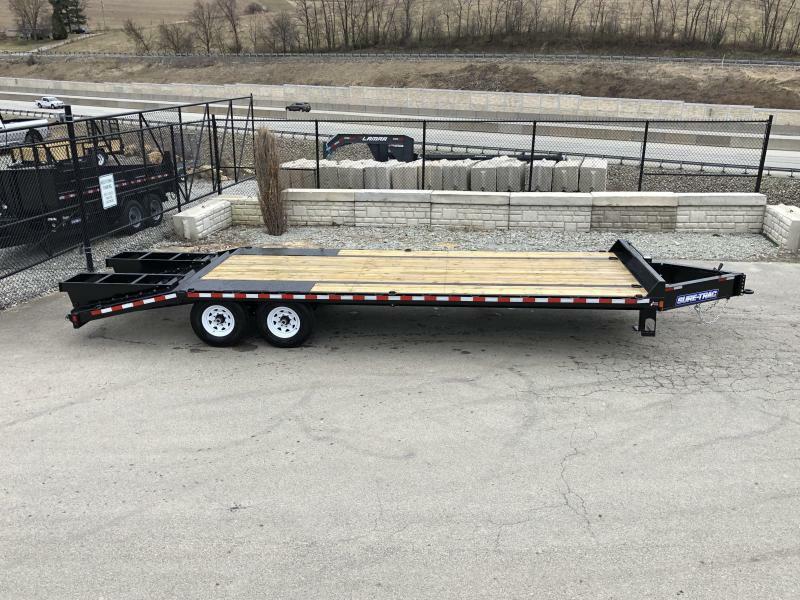 The low profile, pierced frame design gives a low 32" deck height, and the 5' beavertail and 5' ramps give it a very low approach angle, ideal for loading not only equipment, but even cars, and compact tractors, among other things. 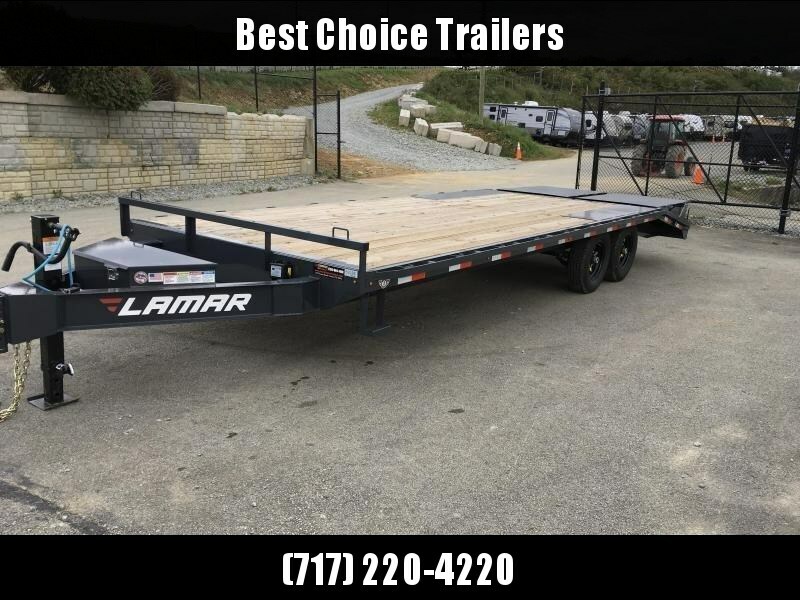 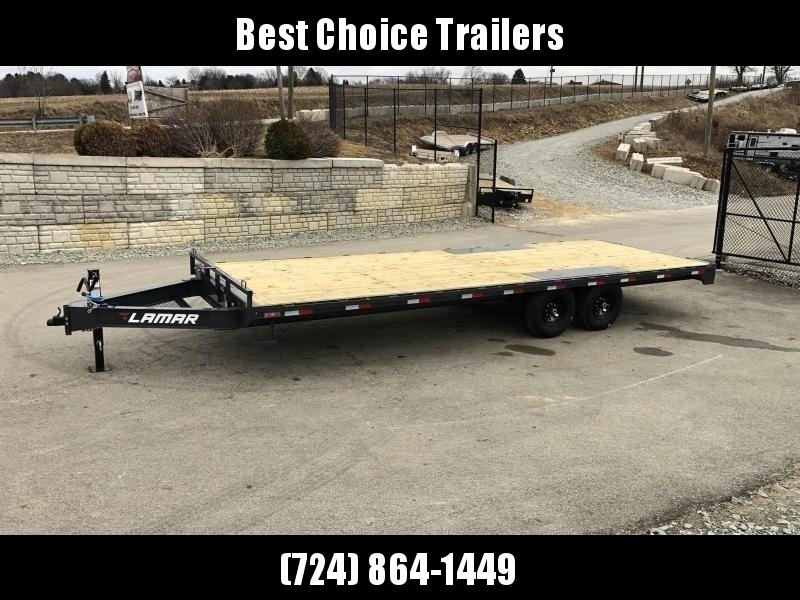 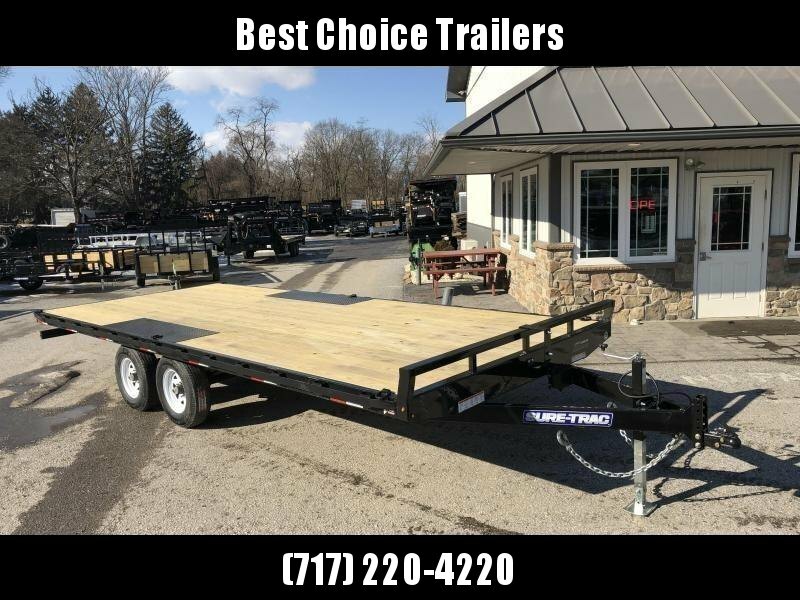 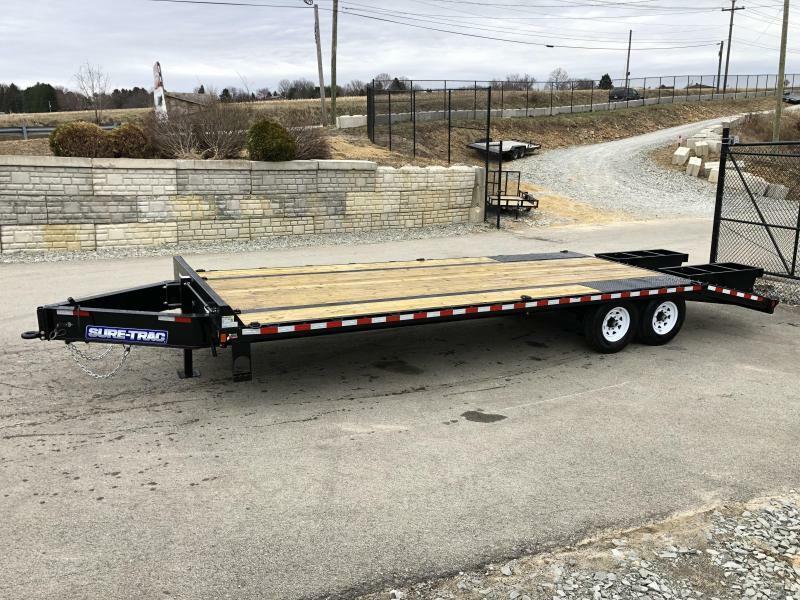 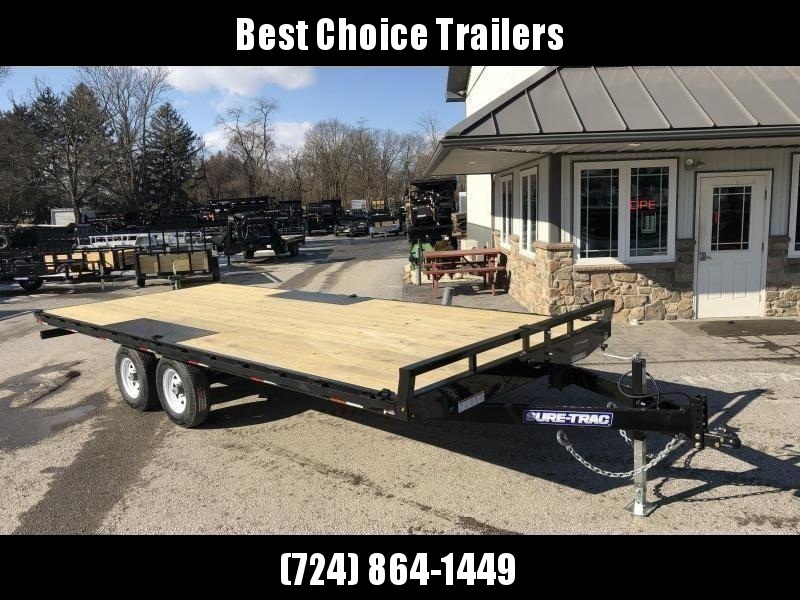 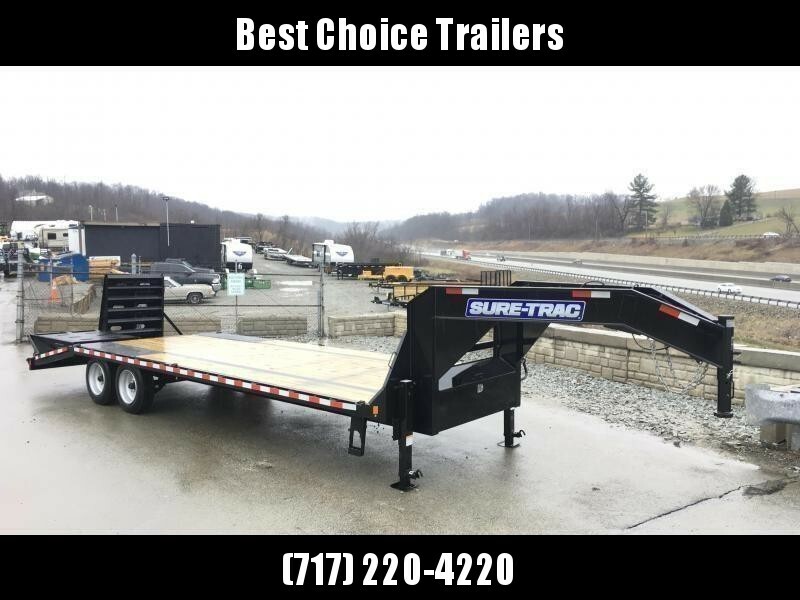 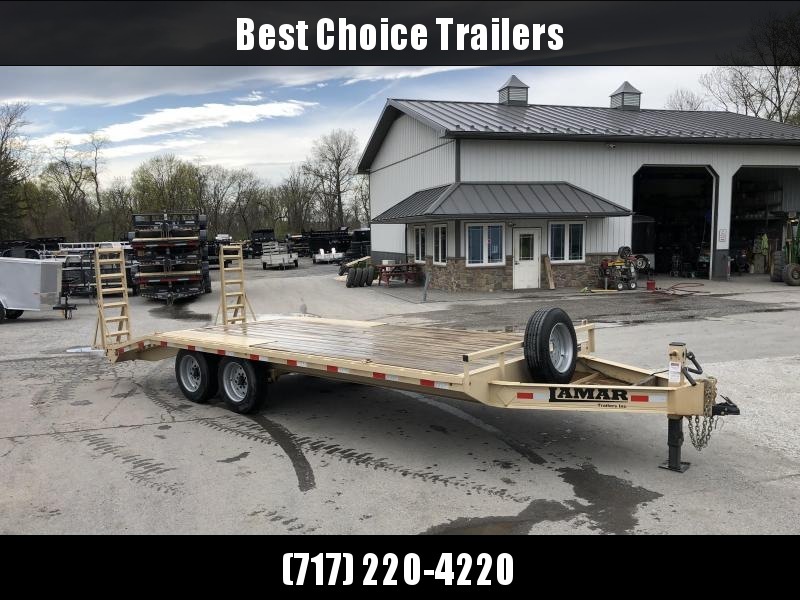 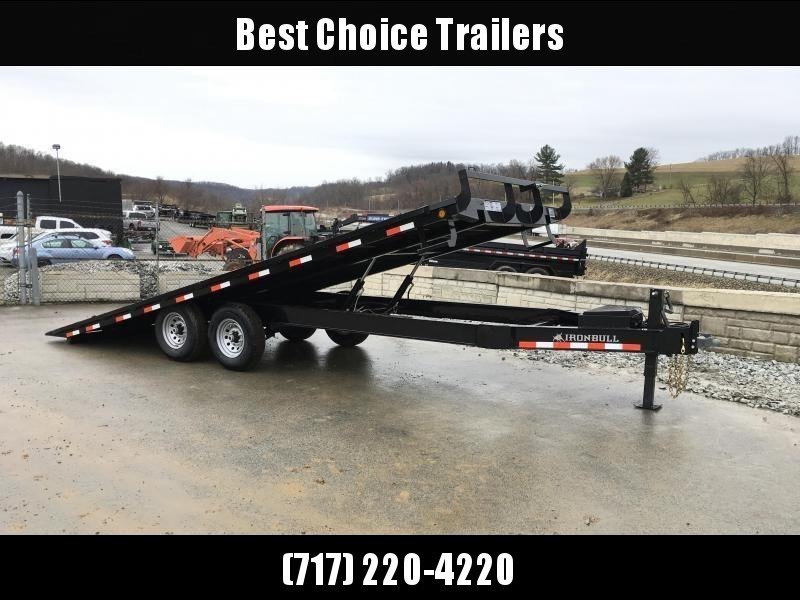 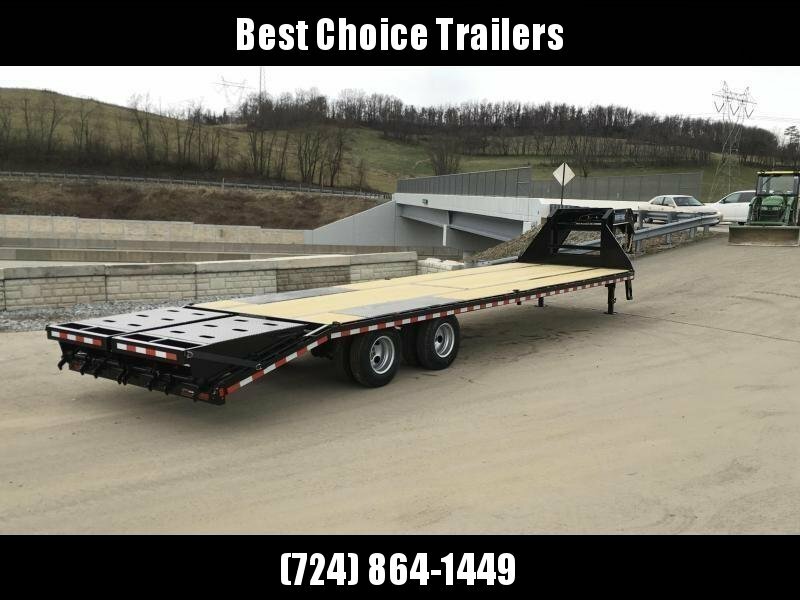 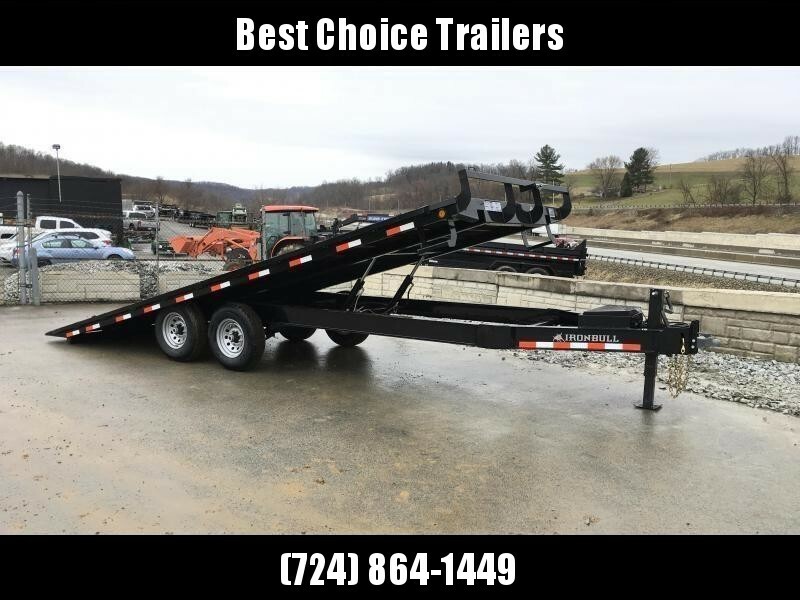 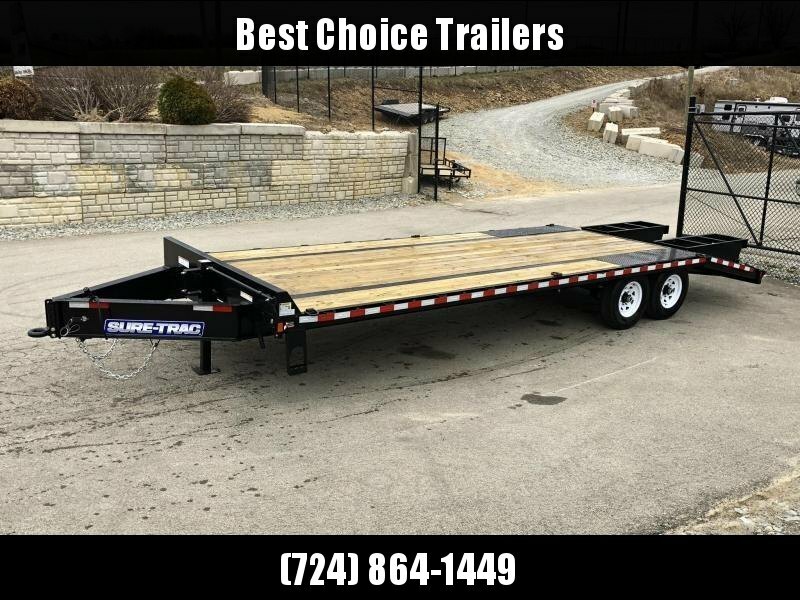 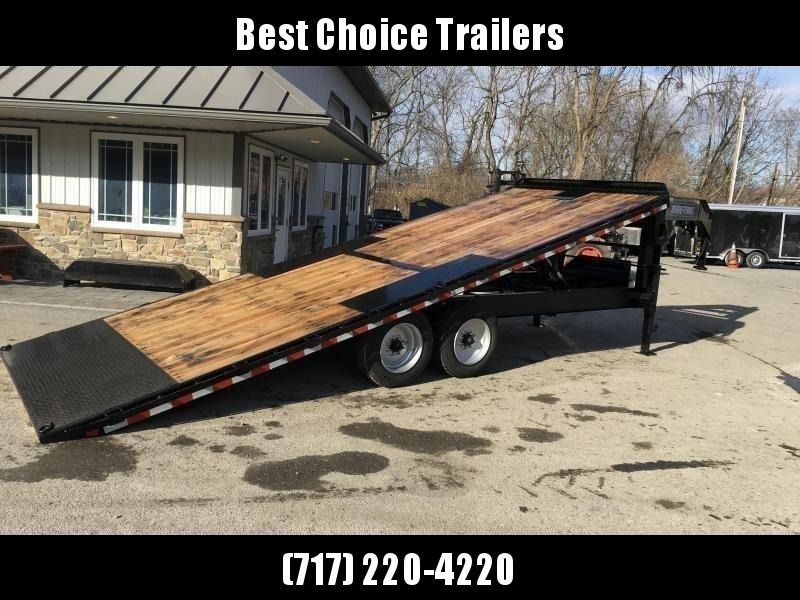 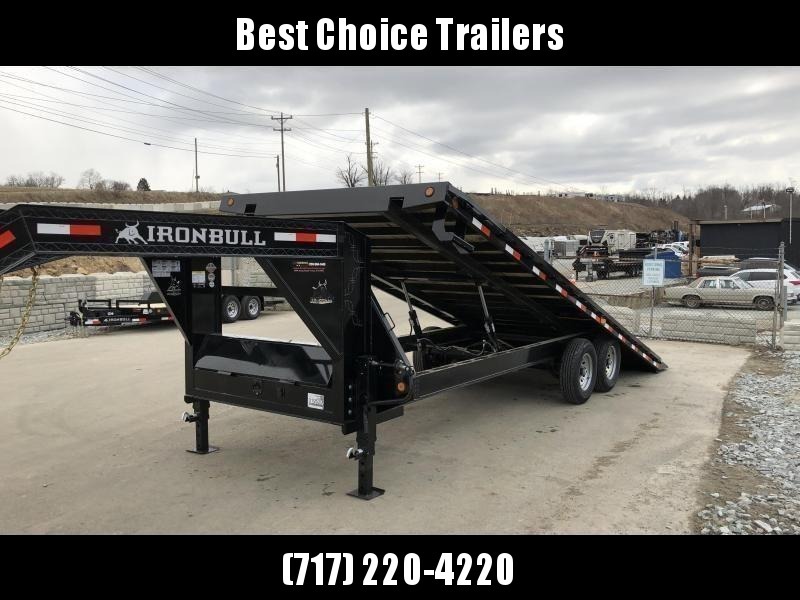 This model come in both flatbed and beavertail models, and came be equipped with either a 2 5/16" ball coupler, a pintle coupler, or optional gooseneck/5th wheel couplers. 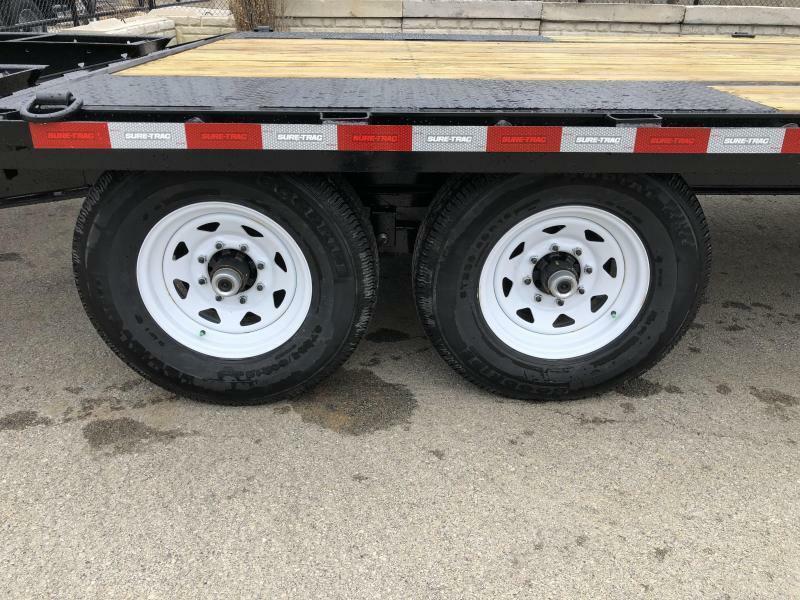 It comes standard with 7000# axles, but available axles include: 8000# (17600# GVW), triple 7000# (21000# GVW), dual 10000# (22500 GVW), dual 12000# (25900# GVW), and 15000# axles (30000# GVW). 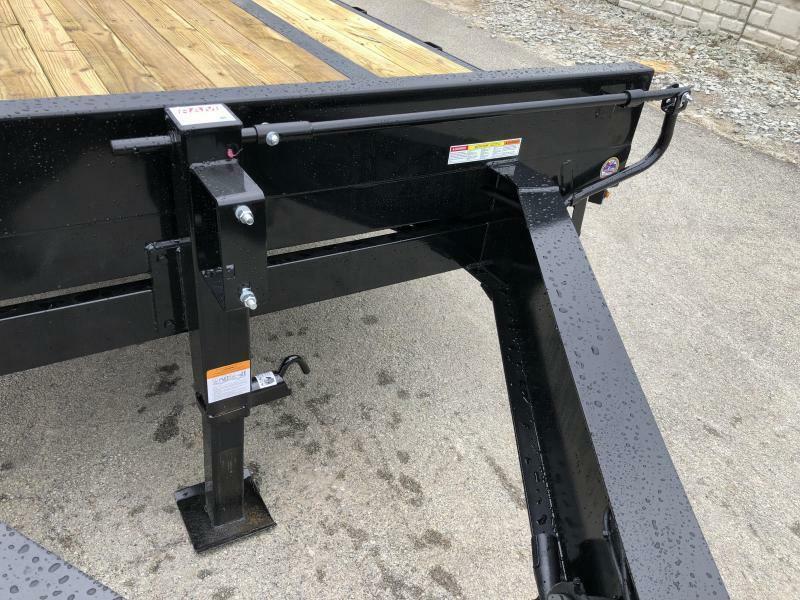 The model comes pretty well equipped, but does have a fairly extensive list of available options, such as 2-speed jacks, oak deck, hydraulic brakes, and full width ramps. 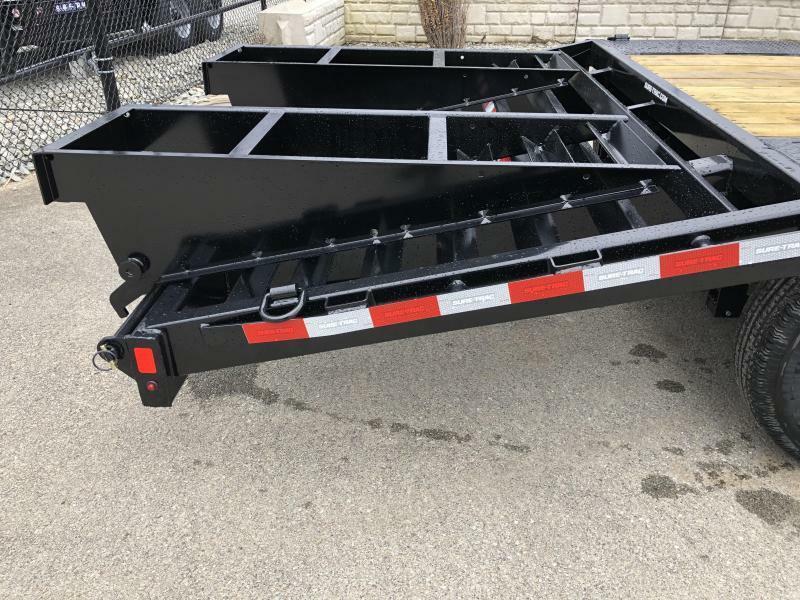 The most common models and empty weights/payloads with tongue weight are: 20+5' 15K bumper pull (4640#/11360), 20+5' 15K gooseneck (4900#/12100#), 25+5' 22.5K gooseneck (6280#/19595#). 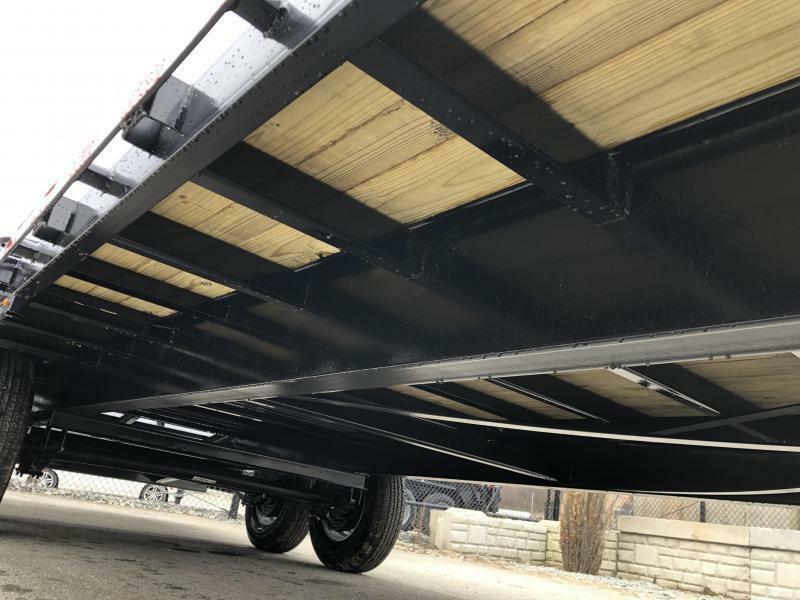 The ideal tow vehicle on the 15K or 17.6K HD deckover would be a Â¾ ton or 1 ton diesel, while you'd want to a have a 3500 or 4500 series truck for the 22.5K or 25.9K models.